Easy Solutions For iPad Mini Freezing – www applerepo com, No matter how expensive, current or advanced your gadget is, just like every other technology in this world, it can also experience problems. In fact, even your high end Apple iPad Mini can even experience some glitches, crashing or freesing sometimes! One of the most common problems in an iPad is when it freezes when you use some menus. Users typically call this a crash, a freeze, or a lag. Another problem common in an iPad is when it does not respond to its sleep button, home button or even when you touch the screen. 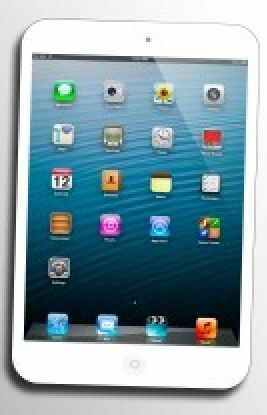 Nonetheless when you experience these ipad mini freezing problems, you should not lose hope. In fact, there are a lot of very simple solutions that you can try before you give up and completely restore the settings of your entire iPad. Here are some solutions that you can try out and do yourself. Simply follow these steps below so that you can get your iPad mini up and running again. • Restart your iPad mini. Simply press and hold down the wake/sleep button on the front of your iPad. Do this for a couple of seconds until the red slider shows up. Once it does show up, slide it across to shut your iPad down. After that, restart your iPad by pressing the wake/sleep button found at the top of your iPad until the logo of Apple appears. • Reset your iPad mini. If restarting your iPad did not work then you might have to really reset your iPad. You can achieve this by pressing the wake/sleep button and the home button on the top of the case of your iPad. Hold these two buttons together and at the same time for at least ten seconds. Once you do this, your iPad should reset itself. If both of these methods do not work out, then here are a couple of further solutions that you can try out. 1. Restore your iPad mini. If restarting or resetting your iPad did not work out, then you will need to really restore your iPad to its original factory settings. Here are the steps you need to follow in restoring your iPad mini. 1. First, you have to make sure that you have a connection cable that is a USB 2.0. Also, make sure that you have iTunes and that it is the latest version. 2. Connect your iPad mini to your PC, laptop or netbook and then open your iTunes. 3. Go to the Devices section of your iTunes and click on the icon for your iPad. After that, click the summary tab and click the restore button. 4. When you are prompted, make sure to click the Back Up button to back up all of your settings and media files. 5. Click the button for restore. After following these five steps to fix ipad mini freezes, your iPad mini will automatically be restored and it will return to its factory settings. In addition to that, the latest version of the operating software of your iPad mini will be automatically installed. Also, once all of these steps are complete, your iPad will restart. Once it is back up, you can now restore all of your previous settings and media files from the back up that you made. These are just some of the steps you can follow in order to fix the freeze of your iPad mini. If none of these works, make sure to visit your local Apple store to fix your ipad mini freezing problem.